Tuesday, October 18th at 6 p.m. the Sala Petrassi hosts a Close Encounter featuring David Mamet. The winner of the Pulitzer Prize for the play “Glengarry Glen Ross”, who has also directed the films House of Games and Heist and scripted dozens of films, including Brian De Palma’s Untouchables and Ridley Scott’s Hannibal, will talk about his experience as film director and screenwriter. At 7:30 p.m., the Sala Sinopoli hosts a screening of The Secret Scripture by Jim Sheridan; the film starring Rooney Mara, Vanessa Redgrave, Jack Reynor, Theo James and Eric Bana is based on the novel of the same name by Sebastian Barry. “This is an incredibly lyrical novel, magnificently written, more similar to a work by Samuel Beckett than a screenplay, in fact,” Sheridan observes. “The challenge was to translate into images for the screen a story that in the book takes place in the main character’s mind.” Lady Rose is an old woman who has lived in a psychiatric hospital for over fifty years. Despite her grim surroundings, there is a light in her eyes that nothing can dim. Doctor Stephen Grene is intrigued by the woman and feels the need to shed light on her past and help her regain her freedom. Next up at 10 p.m. in the same theater, The Accountant by Gavin O’Connor, the director of Pride and Glory starring Edward Norton and Colin Farrell, is an action thriller in which Ben Affleck plays Christian Wolff, a math savant with more affinity for numbers than people. His life changes overnight when he starts working for a state-of-the-art robotics company where an accounting clerk (Anna Kendrick) has discovered a discrepancy worth millions of dollars. As Christian uncooks the books and gets closer to the truth, it is the body count that starts to rise. Next up in the same theater at 10:30 p.m., Goldstone by Ivan Sen: on the trail of a missing person, detective Jay Swan ends up in the small mining town of Goldstone, where he is arrested for drunk driving by a young local cop, Josh. When Jay’s motel room is blasted with gunfire, it becomes clear that something larger is at play. Jay and Josh struggle to overcome their mutual distrust to uncover a distinctly unpleasant truth. What seems like a simple light duties investigation opens into a web of crime and corruption in the establishment that controls the town, the local mine and the local Aboriginal land council. At 3 p.m. in Studio 3, the conference “Critical Conditions: loving cinema and writing about film in the digital age” gets underway. 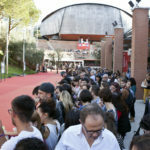 The Rome Film fest has chosen to open a panel for discussion, information and debate that will feature the participation of some of the world’s leading film critics (A.O. Scott, “The New York Times”; Justin Chang, “Los Angeles Times”; and Julien Gester, “Libération”), along with a number of Italian personalities from the print and online media, magazines and academia. 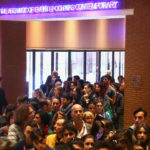 The event curated by Alberto Crespi and Mario Sesti aims to shed light on the careers and motivation of individuals who have turned their love for film into a profession, all the more because the function and purpose of film criticism has undergone greater changes, perhaps, that those that have affected film itself in the last thirty years. And Studio 3 will be hosting two films from the Tom Hanks retrospective: Road to Perdition by Sam Mendes (at 6 p.m.) and Catch Me If You Can by Steven Spielberg (at 9 p.m.). 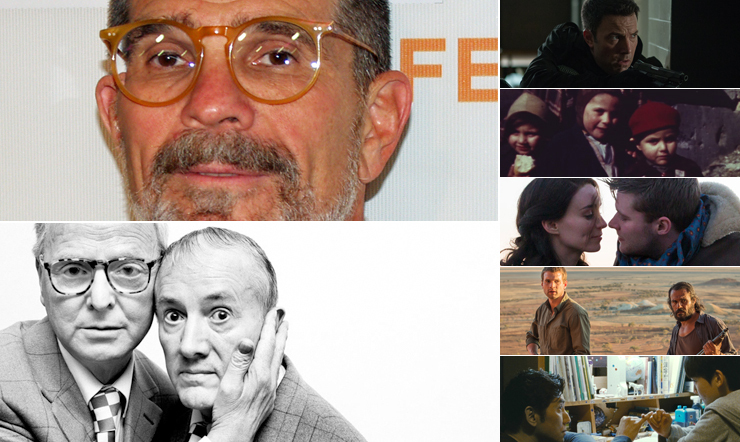 The MAXXI Museum for 21st-century Arts will be offering screenings of Milk by Gus Van Sant (at 4:30 p.m.), La notte non fa più paura by Marco Cassini (at 7 p.m.) and Being There by Hal Ashby (at 9:30 p.m.). At the Casa del Cinema, Fest audiences can catch Winchester ’73 by Anthony Mann at 6:30 p.m., while Gilbert & George will be presenting Shaolin Martial Arts at 9 p.m.
At the Cinema Trevi, the Valerio Zurlini retrospective, curated by Domenico Monetti and Mario Sesti, in collaboration with the Centro Sperimentale di Cinematografia – Cineteca Nazionale, continues with a 5 p.m. screening of Girl with a Suitcase and a 7:30 p.m. screening of Cronaca familiare. The Film Fest’s independent sidebar Alice nella città is screening Boy on the Bridge by Petros Charalombous at 11 a.m. in the Sala Sinopoli. The Teatro Studio Gianni Borgna will be hosting Fabrizio Maria Cortese’s film Ho amici in paradiso at 5 p.m., while the program at the Cinema Admiral features I corti del Kino at 4:30 p.m. and La Sindrome di Antonio at 8:30 p.m.
Repeat screenings will be proliferating at an array of Fest venues in the city. First up this morning, at the Cinema Admiral at 10:30 a.m., is Little Wing by Selma Vilhunen (which will also screen at the same theater at 6:30 p.m., while the late show is reserved for Hunt for the Wilderpeople by Taika Waititi at 10:30 p.m. At 11 a.m. Captain Fantastic by Matt Ross will be screened at the Mazda Cinema Hall, while the MAXXI Museum offers up a 2 p.m. screening of Yaniv Berman’s film Land of the Little People. The Mazda Cinema Hall picks up at 2:30 p.m. with Bertrand Bonello’s Nocturama, followed by Mick Jackson’s Denial at 5:30 p.m., The Secret Scripture by Jim Sheridan at 8 p.m., and The Accountant by Gavin O’Connor at 10:30 p.m.
At 3 p.m., the Teatro Studio Gianni Borgna hosts a repeat screening of Benedict Andrews’ Una. The Farnese Persol downtown also abounds in Fest fare, with repeat screenings of Boy on the Bridge by Petros Charalombous at 4 p.m., Una by Benedict Andrews at 6 p.m., Denial by Mick Jackson at 8 p.m., and Irréprochable by Sébastien Marnier last up at 10:30 p.m. Back at the Auditorium, the Sala Sinopoli is holding a repeat screening of Werner Herzog’s documentary Into the Inferno at 5 p.m.